Bristol ( /ˈbrɪstəl/) is a city, unitary authority area and county in South West England with an estimated population of 449,300 in 2016. It is England's sixth and the United Kingdom's eighth most populous city, and the most populous city in Southern England after London. The city borders the Unitary Authority areas of North Somerset and South Gloucestershire, with the historic cities of Bath and Gloucester to the south-east and north-east, respectively. Iron Age hill forts and Roman villas were built near the confluence of the rivers Frome and Avon, and around the beginning of the 11th century the settlement was known as Brycgstow (Old English "the place at the bridge"). Bristol received a royal charter in 1155 and was in Gloucestershire until 1373, when it became a county. From the 13th to the 18th century, Bristol was among the top three English cities after London (with York and Norwich) in tax receipts. Bristol was surpassed by the rapid rise of Manchester, Liverpool and Birmingham during the Industrial Revolution. Bristol's modern economy is built on the creative media, electronics and aerospace industries, and the city-centre docks have been redeveloped as centres of heritage and culture. 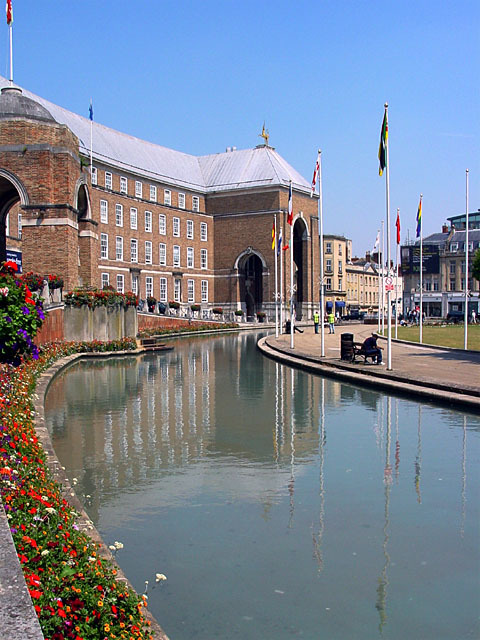 The city has two universities, the University of the West of England and the University of Bristol and a variety of artistic and sporting organisations and venues including the Royal West of England Academy, the Arnolfini, Spike Island, Ashton Gate and the Memorial Stadium. It is connected to London and other major UK cities by road, rail, sea and air by the M5 and M4 (which connect to the city centre by the Portway and M32), Bristol Temple Meads and Bristol Parkway mainline rail stations, and Bristol Airport. The most ancient name recorded for Bristol is the archaic Welsh form Caer Odor (the fort on the chasm) which is consistent with modern understanding that early Bristol developed above on a low hill between the River Frome and Avon Gorge. It is most commonly stated that the Saxon name Bricstow was a simple calque of the existing Celtic name, with Bric (meaning a break) a literal translation of Odor, and the common Saxon suffix Stow replacing Caer. Alternative etymologies arise with the great variety in the orthography of Medieval documents with Samuel Seyer enumerating 47 variations. The form Brycgstow is most commonly used to derive the Old English meaning place at the bridge, utilizing the form Brastuile, Rev. Dr. Shaw derives Bristol from the Celtic words bras (quick, rapid), or braos (a gap, chasm,) and tuile (a stream). The poet Thomas Chatterton derives the name from Brictricstow linking the town to Brictric, the last king of Wessex. It appears that the form Bricstow prevailed until 1204, and the Bristolian 'L' (the tendency for the local accent to add a letter L to the end of some words) is what eventually changed the name to Bristol. During the 15th century Bristol was the second most important port in the country, trading with Ireland, Iceland and Gascony. It was the starting point for many voyages, including Robert Sturmy's (1457–58) unsuccessful attempt to break the Italian monopoly of Eastern Mediterranean trade. Bristol merchants then turned west, launching voyages of exploration in the Atlantic by 1480 in search of the phantom island of Hy-Brazil. These Atlantic voyages, also aimed at China, culminated in Venetian John Cabot's 1497 exploration of North America and subsequent expeditions to the New World, underwritten by Bristol merchants Walter & his son Robert Colley (Cowley) who moved to Dublin in abt. 1500 and King Henry VII until 1508. A 1499 voyage, led by merchant William Weston of Bristol, was the first expedition commanded by an Englishman to North America. Fishermen from Bristol (who had fished the Grand Banks of Newfoundland since the 15th century) began settling Newfoundland permanently in larger numbers during the 17th century, establishing colonies at Bristol's Hope and Cuper's Cove. Because of Bristol's nautical environment, maritime safety was an important issue in the city. During the 19th century, Samuel Plimsoll (known as "the sailor's friend") campaigned to make the seas safer; shocked by overloaded vessels, he successfully fought for a compulsory load line on ships. From a population of about 330,000 in 1901, Bristol grew steadily during the 20th century, peaking at 428,089 in 1971. Its docklands were enlarged during the early 1900s by the Royal Edward Dock. Another new dock, the Royal Portbury Dock, opened during the 1970s. As air travel grew in the first half of the century, aircraft manufacturers built factories. Bristol's boundaries are defined in several ways, depending on whether they are those of the city, the developed area, or Greater Bristol. The narrowest definition of the city is the city council boundary, which includes a large section of the western Severn Estuary up to (but not including) the islands of Steep Holm and Flat Holm. If this area within the city boundary (created by the Merchant Venturers in the 17th century to protect the approaches to the port) is included Bristol is the 3rd largest city by area in the UK. The term Greater Bristol, used by the Government Office of the South West (now abolished), the Office for National Statistics and others, refers to the city and portions of the three neighbouring local authoritiesTemplate:NsmdnsBath and North East Somerset, North Somerset and South GloucestershireTemplate:Nsmdnsan area sometimes called the "former Avon area" or the West of England Partnership (WEP) area. Greater Bristol does not include Bath or Weston-super-Mare, which are included in the WEP area. The Friends of Suburban Bristol Railways (FOSBR) conflates the terms Greater Bristol and Suburban Bristol. The weather stations nearest Bristol for which long-term climate data are available are Long Ashton (about 5 miles (8 km) south west of the city centre) and Bristol Weather Station, in the city centre. Data collection at these locations ended in 2002 and 2001, respectively, and Filton Airfield is currently the nearest weather station to the city. Temperatures at Long Ashton from 1959 to 2002 ranged from 33.5 °C (92.3 °F) in July 1976 to −14.4 °C (6 °F) in January 1982. Monthly high temperatures since 2002 at Filton exceeding those recorded at Long Ashton include 25.7 °C (78.3 °F) in April 2003, 34.5 °C (94.1 °F) in July 2006 and 26.8 °C (80.2 °F) in October 2011. The lowest recent temperature at Filton was −10.1 °C (14 °F) in December 2010. Although large cities in general experience an urban heat island effect, with warmer temperatures than their surrounding rural areas, this phenomenon is minimal in Bristol. In 2014, the Office for National Statistics estimated the Bristol unitary authority's population at 442,474, making it the 43rd-largest ceremonial county in England. The ONS, using Census 2001 data, estimated the city's population at 441,556 and that of the contiguous urban area at 551,066. In 2006 the ONS estimated Bristol's urban-area population at 587,400, making it England's sixth-most-populous city and ninth-most-populous urban area. At Template:Convert/PD/km² it has the seventh-highest population density of any English district. According to the 2011 census, 84% of the population was White (77.9% White British, 0.9% White Irish, 0.1% Gypsy or Irish Travellers and 5.1% Other White); 3.6% mixed-race (1.7% white-and-black Caribbean, 0.4% white-and-black African, 0.8% white and Asian and 0.7% other mixed); 5.5% Asian (1.5% Indian, 1.6% Pakistani, 0.5% Bangladeshi, 0.9% Chinese and one percent other Asian); 6% Black (2.8% African, 1.6% Caribbean, 1.6% Other Black), 0.3% Arab and 0.6% with other heritage. Bristol is unusual among major British towns and cities in its larger black than Asian population. These statistics apply to the Bristol Unitary Authority area, excluding areas of the urban area (2006 estimated population 587,400) in South Gloucestershire, Bath and North East Somerset (BANES) and North Somerset—such as Kingswood, Mangotsfield, Filton and Warmley. The city's economy also relies on the aerospace, defence, media, information technology, financial services and tourism industries. The Ministry of Defence (MoD)'s Procurement Executive, later known as the Defence Procurement Agency and Defence Equipment and Support, moved to its headquarters at Abbey Wood, Filton, in 1995. This organisation, with a staff of 7,000 to 8,000, procures and supports MoD equipment. One of the UK's most popular tourist destinations, Bristol was selected in 2009 as one of the world's top-ten cities by international travel publishers Dorling Kindersley in their Eyewitness guides for young adults. In 2005 Bristol was named by the UK government one of England's six science cities. A £500 million shopping centre, Cabot Circus, opened in 2008 amidst predictions by developers and politicians that the city would become one of England's top ten retail destinations. The Bristol Temple Quarter Enterprise Zone, focused on creative, high-tech and low-carbon industries around Bristol Temple Meads railway station, was announced in 2011 and launched the following year. The 70-hectare (170 acres) Urban Enterprise Zone has streamlined planning procedures and reduced business rates. Rates generated by the zone are channelled to five other designated enterprise areas in the region: Avonmouth, Bath, Bristol and Bath Science Park in Emersons Green, Filton, and Weston-super-Mare. Bristol is the only big city whose wealth per capita is higher than that of Britain as a whole. With a highly skilled workforce drawn from its universities, Bristol claims to have the largest cluster of computer chip designers and manufacturers outside Silicon Valley. The wider region has one of the biggest aerospace hubs in the UK, centred on Airbus, Rolls-Royce and GKN at Filton airfield. The city has many venues for live music, its largest the 2,000-seat Colston Hall named after Edward Colston. Others include the Bristol Academy, The Fleece, The Croft, the Exchange, Fiddlers, the Victoria Rooms, Trinity Centre, St George's Bristol and several pubs, from the jazz-oriented The Old Duke to rock at the Fleece and Firkin and indie bands at the Louisiana. In 2010 PRS for Music called Bristol the UK's most musical city, based on the number of its members born there relative to the city's population. Since the late 1970s Bristol has been home to bands combining punk, funk, dub and political consciousness, and trip hop and Bristol Sound artists such as Tricky, Portishead and Massive Attack; the list of bands from Bristol is extensive. The city is a stronghold of drum and bass, with artists such as Roni Size's Mercury Prize-winning Reprazent, as DJ Krust and More Rockers. This music is part of the Bristol urban-culture scene which received international media attention during the 1990s. The Bristol City Museum and Art Gallery houses a collection encompassing natural history, archaeology, local glassware, Chinese ceramics and art. The M Shed museum opened in 2011 on the site of the former Bristol Industrial Museum. Both are operated by Bristol Museums, Galleries and Archives, which also runs three historic housesTemplate:Nsmdnsthe Tudor Red Lodge, the Georgian House and Blaise Castle HouseTemplate:Nsmdnsand Bristol Record Office. The 18th- and 19th-century portrait painter Thomas Lawrence, 19th-century architect Francis Greenway (designer of many of Sydney's first buildings) were born in the city. The graffiti artist Banksy is believed to be from Bristol, and many of his works are on display in the city. Bristol is the birthplace of 18th-century poets Robert Southey and Thomas Chatterton. Southey (born on Wine Street in 1774) and his friend, Samuel Taylor Coleridge, married the Fricker sisters from the city. William Wordsworth spent time in Bristol, where Joseph Cottle published Lyrical Ballads in 1798. Actor Cary Grant was born in Bristol and comedians from the city include Justin Lee Collins, Lee Evans Russell Howard and writer-comedian Stephen Merchant. The two Football League clubs are Bristol City and Bristol RoversTemplate:Nsmdnsthe former being the only club from the city to play in the precursor to the Premier League. Non-league clubs include Mangotsfield United, Bristol Manor Farm and Brislington. Bristol City, formed in 1897, were Division One runners-up in 1907 and lost the FA Cup final in 1909. In the First Division in 1976, they then sank to the bottom professional tier before reforming after a 1982 bankruptcy. Bristol City were promoted to the second tier of English football in 2007, losing to Hull City in the playoff for promotion to the Premier League that season. The city has several radio stations, including BBC Radio Bristol. Bristol's television productions include Points West for BBC West, Endemol productions such as Deal or No Deal, and ITV News West Country for ITV West & Wales (formerly HTV West) and ITV Westcountry. The hospital drama Casualty, formerly filmed in Bristol, moved to Cardiff in 2012. Bristol has been a location for the Channel 4 comedy-drama Teachers, the BBC drama Mistresses, the E4 teen drama Skins and the BBC3 comedy-drama Being Human; the latter moved to Barry after series two. Template:Bristol railway map/collapse Bristol has two principal railway stations. 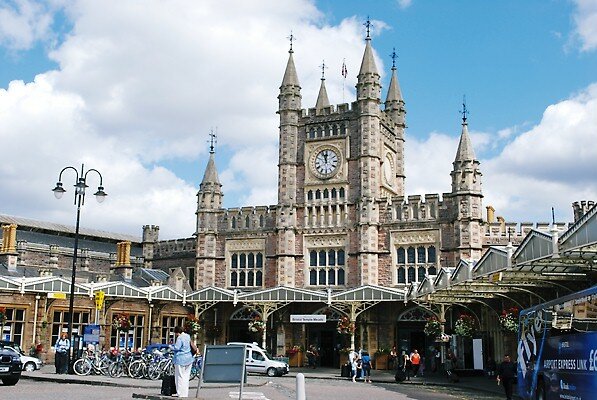 Bristol Temple Meads (near the city centre) has First Great Western service which includes high-speed trains to London Paddington station and local, regional and CrossCountry trains. Bristol Parkway, north of the city centre, has high-speed First Great Western service to Swansea, Cardiff Central and London Paddington and CrossCountry service to Birmingham and the North East. Limited service to London Waterloo via Clapham Junction from Bristol Temple Meads is operated by South West Trains, and there are scheduled coach links to most major UK cities. The runway, terminal and other facilities at Bristol Airport (BRS), Lulsgate, have been upgraded since 2001. Public transport in the city consists primarily of a FirstGroup (formerly the Bristol Omnibus Company) bus network. Other providers are Abus, Wessex and Wessex Star, operated by Wessex for the two universities. Bristol's bus service has been criticised as unreliable and expensive, and in 2005 FirstGroup was fined for delays and safety violations. Private car use is high in the city, leading to traffic congestion costing an estimated £350 million per year. Bristol allows motorcycles to use most of the city's bus lanes and provides secure, free parking for them. Although the city council has included a light rail system in its local transport plan since 2000, it has not yet funded the project; Bristol was offered European Union funding for the system, but the Department for Transport did not provide the required additional funding. Bristol's principal surviving suburban railway is the Severn Beach Line to Avonmouth and Severn Beach. Although Portishead Railway's passenger service was a casualty of the Beeching cuts, freight service to the Royal Portbury Dock was restored from 2000 to 2002 with a Strategic Rail Authority rail-freight grant. The MetroWest scheme, formerly known as The Greater Bristol Metro, proposes to increase the city's rail capacity as well as the restoration of a further 3 miles (5 km) of track to Portishead (a dormitory town with one connecting road), despite concerns about insufficient funds to rebuild stations, is scheduled for completion by 2019. ^ "The Lord-Lieutenant of the County & City of Bristol". The Lord-Lieutenant of the County & City of Bristol. http://www.lordltbristol.org.uk/. Retrieved 8 June 2015. ^ "Historical Weather for Bristol, England, United Kingdom". Weatherbase. Canty & Associates. http://www.weatherbase.com/weather/weather.php3?s=062730&refer=. Retrieved 15 October 2015. ^ "The Population of Bristol August 2013" (PDF). Bristol City Council. Archived from the original on 11 February 2014. https://web.archive.org/web/20140211083734/http://www.bristol.gov.uk/sites/default/files/documents/council_and_democracy/statistics_and_census_information/Population%20of%20Bristol%20August%202013.pdf. Retrieved 18 April 2015. ^ "2011 Census: Ethnicgroup, local authorities in England and Wales". Census 2011. Office for National Statistics. http://www.ons.gov.uk/ons/rel/census/2011-census/key-statistics-for-local-authorities-in-england-and-wales/rft-table-ks202ew.xls. Retrieved 12 December 2012. ^ "Early Bristol". River Avon Interpretation Project. http://www.riveravontrail.org.uk/earlybristol.html. Retrieved 21 October 2016. ^ "Descriptive Gazetteer Entry for Bristol". University of Portsmouth. http://www.visionofbritain.org.uk/descriptions/853680. Retrieved 21 October 2016. ^ Seyer, Samuel (1823). Memoirs, Historical and Topographical of Bristol and its Neighborhood. https://archive.org/details/memoirshistorica02seye. ^ "Market Towns Of Gloucestershire". SDUK Penny Cyclopedia. http://www.oldtowns.co.uk/Gloucestershire/bristol.htm. Retrieved 21 October 2016. ^ Jean Manco (2006). "Ricart's View of Bristol". Bristol Magazine. Retrieved on 15 October 2015. ^ Bates, M.R. ; Wenban-Smith, F.F.. "Palaeolithic Research Framework for the Bristol Avon Basin" (PDF). Bristol City Council. Archived from the original on 4 April 2013. https://web.archive.org/web/20130404082939/http://www.bristol.gov.uk/sites/default/files/documents/planning_and_building_regulations/archaeology/Palaeolithic%20Research%20Framework%20for%20the%20Bristol%20Avon%20basin.pdf. Retrieved 12 June 2014. ^ "Bristol in the Iron Age". Bristol City Council. Archived from the original on 20 May 2011. https://web.archive.org/web/20110520074522/http://www.bristol.gov.uk/ccm/content/Leisure-Culture/Local-History-Heritage/archaeology/bristol-in-the-iron-age.en. Retrieved 10 March 2007. ^ "Abona – Major Romano-British Settlement". Roman-Britain.org. Archived from the original on 3 February 2008. https://web.archive.org/web/20080203023441/http://www.roman-britain.org/places/abona.htm. Retrieved 17 December 2008. ^ "Bristol in the Roman Period". Bristol City Council. Archived from the original on 20 May 2011. https://web.archive.org/web/20110520075145/http://www.bristol.gov.uk/ccm/content/Leisure-Culture/Local-History-Heritage/archaeology/bristol-in-the-roman-period.en. Retrieved 10 March 2007. ^ "The Impregnable City". Bristol Past. http://www.buildinghistory.org/bristol/castle.shtml. Retrieved 7 October 2007. ^ "Bristol merchants funded Anglo-Norman invasion". Irish Times. http://www.irishtimes.com/news/bristol-merchants-funded-anglo-norman-invasion-1.91225. Retrieved 7 October 2007. ^ Staff (2011). "High Sheriff – City of Bristol County History". High Sheriffs Association of England and Wales. http://www.highsheriffs.com/City%20of%20Bristol/City%20of%20BristolHistory.htm. Retrieved 19 June 2011. ^ Myers, A. R. (1996). Douglas, David C.. ed. English Historical Documents 1327–1485. IV (2 ed.). London and New York: Routledge. p. 560. ISBN 978-0-415-14369-1. https://books.google.com/?id=jRsLUVOCqbkC&q=bristol#v=snippet&q=bristol. ^ Manco, Jean (25 July 2009). "The Ranking of Provincial Towns in England 1066–1861". Delving into building history. Jean Manco. http://www.buildinghistory.org/town-rank.shtml. Retrieved 13 January 2010. ^ "History in Bristol". Discover Bristol. http://www.discoverbristol.co.uk/bristol-history. Retrieved 5 May 2014. ^ Childs, Wendy R. (1982). "Ireland's trade with England in the Later Middle Ages". Irish Economic and Social History IX: 5–33. ^ (2008) "Alwyn Ruddock: 'John Cabot and the Discovery of America'". Historical Research 81 (212): 231–34. DOI:10.1111/j.1468-2281.2007.00422.x. ^ Jones, Evan T. (August 2010). "Henry VII and the Bristol expeditions to North America: the Condon documents". Historical Research 83 (221): 444–454. DOI:10.1111/j.1468-2281.2009.00519.x. Retrieved on 27 January 2013. ^ Jones, Evan T. (February 2001). "Illicit business: accounting for smuggling in mid-sixteenth-century Bristol". The Economic History Review 54 (1): 17–38. DOI:10.1111/1468-0289.00182. Retrieved on 28 March 2014. ^ Croft, Pauline (June 1989). "Trading with the Enemy 1585–1604". The Historical Journal 32 (2): 281–302. DOI:10.1017/S0018246X00012152. ^ Horn, Joyce M (1996). "Bristol: Introduction": 3–6. Retrieved on 8 June 2015. ^ Appendix to the First Report of the Commissioners Appointed to inquire into the Municipal Corporations of England and Wales. 1835. p. 1158. https://books.google.com/books?id=H3FTAAAAcAAJ&pg=PA1149&lpg=PA1149&dq=bristol+charter+1155&source=bl&ots=epGk-WW9Ef&sig=cGL--gVC5n3Vpx7uTbXvP68RDNo&hl=en&sa=X&ei=aHwSU9DUM-SS7Abw0YCgAw&ved=0CEwQ6AEwBw#v=onepage&q=bristol%20charter%201155&f=false. Retrieved 1 March 2014. ^ "Royal Fort dig". University of Bristol. 21 April 2009. http://www.bristol.ac.uk/news/2009/6291.html. Retrieved 21 July 2011. ^ a b "Triangular trade". National Maritime Museum. http://www.understandingslavery.com/index.php?option=com_content&view=article&id=308:atlantic-crossing&catid=125:themes&Itemid=153. Retrieved 22 March 2009. ^ "Black Lives in England : The Slave Trade and Abolition". English Heritage. https://historicengland.org.uk/research/inclusive-heritage/the-slave-trade-and-abolition/sites-of-memory/black-lives-in-england/. Retrieved 23 November 2015. ^ "Marking The End Of The Slave Trade - Abolition 200 Events In Bristol". Culture 24. http://www.culture24.org.uk/places-to-go/south-west/bristol/art44473. Retrieved 27 September 2015. ^ "Seven Stars, Slavery and Freedom!". Bristol Radical History Group. http://www.brh.org.uk/articles/seven_stars.html. Retrieved 18 December 2008. ^ "The history of the Seven Stars". Seven Stars. http://www.7stars.co.uk/history. Retrieved 25 August 2015. ^ Cathcart, Brian (19 March 1995). "Rear Window: Newfoundland: Where fishes swim, men will fight". The Independent (London). http://www.independent.co.uk/voices/letters/rear-window-newfoundland-where-fishes-swim-men-will-fight-1611892.html. Retrieved 27 January 2013. ^ "Samuel Plimsoll – the seaman's friend". BBC – Bristol – History. http://www.bbc.co.uk/bristol/content/articles/2008/05/14/plimsoll_feature.shtml. Retrieved 16 March 2009. ^ "Wesley's New Room". Looking at Buildings from the Pevsner Architectural Guides. Archived from the original on 27 September 2007. https://web.archive.org/web/20070927235114/http://www.lookingatbuildings.org.uk/default.asp?Document=3.C.2,5. Retrieved 18 October 2015. ^ "Hanham Mount". Methodist Heritage. http://www.methodistheritage.org.uk/hanhammount.htm. Retrieved 22 November 2015. ^ (1975) "John Wesley and George Wh itefield: A Study in the Integrity of Two Theologies of Grace". Evangelical Quarterly 47 (1): 26–40. ^ (1988) "The Bristol brass industry: Furnace structures and their associated remains". JHMS 22 (1): 24-. ^ "Bristol's early nineteenth century staple industries.". University of the West of England. http://humanities.uwe.ac.uk/bhr/Main/industry/2_industry.htm. Retrieved 18 October 2015. ^ Harvey, Charles; Press, Jon. "Industrial Change in Bristol Since 1800. Introduction". Bristol Historical Resource. University of the West of England. http://humanities.uwe.ac.uk/bhr/Main/industry/intro_industry.htm. Retrieved 29 March 2014. ^ "City Museum and Art Gallery and attached front walls". Images of England. http://www.imagesofengland.org.uk/details/default.aspx?id=380277. Retrieved 10 March 2007. ^ "Royal West of England Academy". Images of England. http://www.imagesofengland.org.uk/details/default.aspx?id=380286. Retrieved 9 May 2006. ^ "Victoria Rooms and attached railings and gates". Images of England. http://www.imagesofengland.org.uk/details/default.aspx?id=380288. Retrieved 23 March 2007. ^ "BBC – Made in Bristol – 1831 Riot facts". BBC News. http://www.bbc.co.uk/bristol/content/madeinbristol/2004/04/riot/riot.shtml. Retrieved 15 March 2009. ^ London Gazette: no. 26871, p. 3787, 9 July 1897. Retrieved 5 September 2011. ^ a b c d e f g h i j k l m n o p q r s t u v w x "Bristol England through time – Population Statistics – Total Population". Great Britain Historical GIS Project. University of Portsmouth. Archived from the original on 10 May 2011. https://web.archive.org/web/20110510100834/http://www.visionofbritain.org.uk/data_cube_page.jsp?data_theme=T_POP&data_cube=N_POP_CHANGE&u_id=10056676&c_id=10001043&add=N. Retrieved 21 June 2009. ^ "Royal Edward Dock, Avonmouth". Engineering Timelines. http://www.engineering-timelines.com/scripts/engineeringItem.asp?id=1059. Retrieved 27 January 2013. ^ Wessex Archaeology (November 2008). "Appendix H Cultural_Heritage" (PDF). eon-uk. p. H–4. https://www.eonenergy.com/~/media/PDFs/Generation/biomass/portbury-dock/Appendix_H_Cultural_Heritage.pdf. Retrieved 28 December 2015. ^ Staff (2011). "BAC 100: 2010–1910s". BAC 100. BCP. http://www.bac2010.co.uk/1910s.htm. Retrieved 15 October 2015. ^ Lambert, Tim. "A brief history of Bristol". Local Histories. http://www.localhistories.org/bristol.html. Retrieved 12 June 2011. ^ Penny, John. "The Luftwaffe over Bristol". Fishponds Local History Society. http://fishponds.org.uk/luftbrim.html. Retrieved 12 June 2011. ^ Venning, Timothy (2014). Normans and Early Plantagenets. Pen and Sword. ISBN 978-1-4738-3457-6. https://books.google.co.uk/books?id=PjMRBQAAQBAJ&pg=PT24&lpg=PT24&dq=Robert+Bristol+Castle&source=bl&ots=batXbkFLeY&sig=D5yv7wliheqsfj8bVO13KoyD90M&hl=en&sa=X&ved=0ahUKEwigkKHL8NTKAhXD7B4KHZcfAnEQ6AEIUTAN#v=onepage&q=Robert%20Bristol%20Castle&f=false. ^ "Four figures on Arno's Gateway". National Recording Project. Public Monument and Sculpture Association. Archived from the original on 16 July 2011. https://web.archive.org/web/20110716182625/http://pmsa.cch.kcl.ac.uk/BL/BR137.htm. Retrieved 19 March 2007. ^ "Demolition of city tower begins". BBC News. 13 January 2006. http://news.bbc.co.uk/2/hi/uk_news/england/bristol/somerset/4608986.stm. Retrieved 10 March 2007. ^ "Almondsbury Interchange". SABRE. http://www.sabre-roads.org.uk/wiki/index.php?title=Almondsbury_Interchange. Retrieved 25 August 2015. ^ Norwood, Graham (30 October 2007). "Bristol: seemingly unstoppable growth". The Guardian. http://www.guardian.co.uk/money/2007/oct/30/property. Retrieved 18 December 2007. ^ (May 1998) "A sanitised city? Social exclusion at Bristol's 1996 international festival of the sea". Geoforum 29 (2): 199–206. DOI:10.1016/S0016-7185(98)00007-4. ^ "Councillors". Bristol City Council. http://www.bristol.gov.uk/page/council-and-democracy/councillors. Retrieved 3 September 2015. ^ "Wards up for future elections". Bristol City Council. Archived from the original on 5 December 2009. http://www.webcitation.org/5ln2egxnZ. Retrieved 22 July 2007. ^ "Council leader battle resolved". BBC News. 27 May 2007. http://news.bbc.co.uk/2/hi/uk_news/england/bristol/somerset/6682343.stm. Retrieved 31 May 2007. ^ "Labour 'lost council confidence'". BBC News Bristol. 25 February 2009. http://news.bbc.co.uk/2/hi/uk_news/england/bristol/somerset/7910368.stm. Retrieved 25 February 2009. ^ "Lib Dems take control of Bristol". BBC News. 5 June 2009. http://news.bbc.co.uk/2/hi/uk_news/england/bristol/somerset/8080787.stm. Retrieved 5 June 2009. ^ "Local Election Results 2010". Bristol City Council. http://www.bristol.gov.uk/item/elections/?XSL=main&ShowCouncillorsElected=true&ElectionId=64. Retrieved 7 May 2010. ^ "Vote 2013: Results for Bristol". BBC. Archived from the original on 8 June 2013. https://web.archive.org/web/20130608001945/http://www.bbc.co.uk/news/uk-politics-21840001. Retrieved 3 May 2013. ^ "Liberal Democrats lose out in Bristol elections". BBC. http://www.bbc.co.uk/news/uk-england-bristol-27534302. Retrieved 24 May 2014. ^ Morris, Steven (16 November 2012). "Bristol mayoral election won by independent George Ferguson". The Guardian. http://www.theguardian.com/uk/2012/nov/16/bristol-mayoral-election-independent-red-trousers. Retrieved 5 May 2014. ^ "Council elects Lord Mayor and approves the appointment of City Director". Bristol City Council. Archived from the original on 19 August 2013. https://web.archive.org/web/20130819015516/http://www.bristol.gov.uk/press/council-and-democracy/council-elects-lord-mayor-and-approves-appointment-city-director. Retrieved 27 October 2013. ^ "Constituency Map". Bristol City Council. https://www.bristol.gov.uk/WardFinder/pdfs/bristol-constituency-map.pdf. Retrieved 3 September 2015. ^ "Election 2015: Victory in Bristol West scant consolation for Labour as Conservatives seize power". Bristol Post. 8 May 2015. http://www.bristolpost.co.uk/Election-2015-Victory-Bristol-West-scant/story-26464119-detail/story.html. Retrieved 25 August 2015. ^ "Edmund Burke, Speech to the Electors of Bristol". University of Chicago. http://press-pubs.uchicago.edu/founders/documents/v1ch13s7.html. Retrieved 5 May 2014. ^ Wills, Garry. "Edmund Burke Against Grover Norquist". The New York Review of Books. http://www.nybooks.com/blogs/nyrblog/2011/jul/14/edmund-burke-vs-grover-norquist/. Retrieved 5 May 2014. ^ Harrison, Brian H.. "Lawrence, Emmeline Pethick-, Lady Pethick-Lawrence (1867–1954), suffragette". Oxford Dictionary of National Biography. Oxford University Press. http://oxfordindex.oup.com/view/10.1093/ref:odnb/37846. Retrieved 5 May 2014. ^ "Mr Tony Benn". Hansard. http://hansard.millbanksystems.com/people/mr-tony-benn/. Retrieved 5 May 2014. ^ Alan Rusbridger (10 November 2005). "In praise of ... the Race Relations Acts". The Guardian (London). http://www.guardian.co.uk/politics/2005/nov/10/race.immigrationpolicy. Retrieved 12 May 2007. ^ Morris, Steven (4 March 2005). "From slave trade to fair trade, Bristol's new image". The Guardian (London). http://www.guardian.co.uk/environment/2005/mar/04/fairtrade.ethicalliving. Retrieved 14 March 2009. ^ "Local Government Bill (Hansard, 16 November 1971)". hansard.millbanksystems.com. http://hansard.millbanksystems.com/commons/1971/nov/16/local-government-bill#S5CV0826P0_19711116_HOC_316. Retrieved 7 March 2009. ^ "The Avon (Structural Change) Order 1995". www.opsi.gov.uk. http://www.legislation.gov.uk/uksi/1995/493/contents/made. Retrieved 27 January 2013. ^ "Area boundary for the Bristol unitary authority". NOMIS Labour market statistics. Office for National Statistics. https://www.nomisweb.co.uk/keystats/sqmap.aspx?kv=1312817302&type=-1&title=Bristol%3b+City+of+UA+. Retrieved 1 January 2009. ^ Pointer, Graham (2005). "The UK's major urban areas" (PDF). Focus on People and Migration. Office for National Statistics. Archived from the original on 28 June 2011. https://web.archive.org/web/20110628203215/http://www.statistics.gov.uk/downloads/theme_compendia/fom2005/03_FOPM_UrbanAreas.pdf. Retrieved 21 June 2011. ^ "Usual resident population: Census 2001, Key Statistics for urban areas" (xls). Office for National Statistics. Archived from the original on 28 June 2011. https://web.archive.org/web/20110628203914/http://www.statistics.gov.uk/statbase/Expodata/Spreadsheets/D8271.xls. Retrieved 1 January 2009. ^ "Town and Country Planning Acts" (PDF). London Gazette. 24 July 1987. Archived from the original on 3 December 2013. https://web.archive.org/web/20131203001107/http://www.london-gazette.co.uk/issues/51007/pages/9483/page.pdf. Retrieved 29 March 2014. ^ Atkins (2005). "Greater Bristol Strategic Transport Study" (PDF). South West Regional Assembly. Archived from the original on 11 March 2012. https://web.archive.org/web/20120311210020/http://www.southwesteip.co.uk/downloads/documents/sts.pdf. Retrieved 27 January 2013. ^ "About the West of England". West of England Partnership. http://www.westofengland.org/about-the-west-of-england. Retrieved 22 August 2015. ^ "Our Case". Friends of Suburban Bristol Railways. http://fosbr.org.uk/ourcase. Retrieved 22 August 2015. ^ "Cotswolds AONB". Cotswold AONB. http://www.cotswoldsaonb.org.uk/?page=Map. Retrieved 12 June 2011. ^ a b Hawkins, Alfred Brian (1973). "The geology and slopes of the Bristol region". Quarterly Journal of Engineering Geology and Hydrogeology 6 (3–4): 185–205. DOI:10.1144/GSL.QJEG.1973.006.03.02. ^ "Average annual temperature". Meteorological Office. 2000. Archived from the original on 1 August 2013. https://web.archive.org/web/20130801122236/http://www.metoffice.gov.uk/climate/uk/averages/19712000/tmean/17.gif. Retrieved 12 May 2007. ^ "South West England: climate". Metereological Office. http://www.metoffice.gov.uk/climate/uk/regional-climates/sw. Retrieved 25 August 2015. ^ "Average annual sunshine". Meteorological Office. 2000. http://www.metoffice.gov.uk/climate/uk/averages/19712000/ss/17.gif. Retrieved 12 May 2007. ^ "National Meteorological Library and Archive Fact sheet 7 — Climate of South West England" (PDF). Meteorological Office. http://www.metoffice.gov.uk/media/pdf/c/n/MetLIB_13_013_FactSheet_7_Final.pdf. Retrieved 23 May 2014. ^ "Average annual rainfall". Meteorological Office. 2000. http://www.metoffice.gov.uk/climate/uk/averages/19712000/rr/17.gif. Retrieved 12 May 2007. ^ "Weather Station Location". Meteorological Office. http://www.metoffice.gov.uk/climate/uk/networks/images/map5.gif. Retrieved 27 January 2013. ^ "1976 temperature". Royal Netherlands Meteorological Institute. http://eca.knmi.nl/utils/monitordetail.php?seasonid=13&year=1976&indexid=TXx&stationid=1638. Retrieved 27 January 2013. ^ "1982 temperature". Royal Netherlands Meteorological Institute. http://eca.knmi.nl/utils/monitordetail.php?seasonid=7&year=1982&indexid=TNn&stationid=1638. Retrieved 27 January 2013. ^ "Filton April temperature". TuTiempo. http://www.tutiempo.net/en/Climate/FILTON/04-2003/36280.htm. Retrieved 27 January 2013. ^ "Filton July temperature". TuTiempo. http://www.tutiempo.net/en/Climate/FILTON/07-2006/36280.htm. Retrieved 27 January 2013. ^ "Filton Oct temperature". TuTiempo. http://www.tutiempo.net/en/Climate/FILTON/10-2011/36280.htm. Retrieved 27 January 2013. ^ "Filton December temperature". TuTiempo. http://www.tutiempo.net/en/Climate/FILTON/12-2010/36280.htm. Retrieved 27 January 2013. ^ Hughes, Karen (2006). "The impact of urban areas on climate in the UK: a spatial and temporal analysis, with an emphasis on temperature and precipitation effects". Earth and Environment 2: 54–83. ^ "Filton 1981–2010 Climate Normals". Met Office. http://www.metoffice.gov.uk/public/weather/climate/gcnjj2su7. Retrieved 23 April 2016. ^ "MétéoFrance". Monde.meteofrance.com. http://monde.meteofrance.com/monde/climat?68991.path=climatstation%252F03726. Retrieved 12 November 2011. ^ Staff writer (9 November 2008). "Bristol is Britain's greenest city". Evening Post. Bristol News and Media. http://www.bristolpost.co.uk/Bristol-Britain-s-greenest-city/story-11233026-detail/story.html. Retrieved 27 January 2013. ^ "Sustainable Cities Index 2008". Forum for the Future. 25 November 2008. Archived from the original on 18 April 2009. https://web.archive.org/web/20090418005928/http://www.forumforthefuture.org/sustainable-cities08. Retrieved 5 July 2009. ^ "Resourcesaver: Home Page". Beehive. Bristol News and Media. Archived from the original on 19 July 2011. https://web.archive.org/web/20110719211447/http://beehive.thisisbristol.com/default.asp?WCI=SiteHome&ID=4624. Retrieved 5 July 2009. ^ "Best places to live in Britain". SundayTimes. http://www.thesundaytimes.co.uk/sto/style/homes_and_gardens/best_places/article1390298.ece. Retrieved 18 October 2015. ^ "2015-Bristol". European Commission. http://ec.europa.eu/environment/europeangreencapital/winning-cities/2015-bristol/index.html. Retrieved 22 April 2014. ^ "Mid-2012 Population Estimates". Bristol City Council. Archived from the original on 24 June 2014. http://www.webcitation.org/6QZ0NjLEd. Retrieved 17 June 2014. ^ a b "Population Estimates for UK, England and Wales, Scotland and Northern Ireland, Mid-2014". Office for National Statistics. http://www.ons.gov.uk/ons/rel/pop-estimate/population-estimates-for-uk--england-and-wales--scotland-and-northern-ireland/mid-2014/rft---mid-2014-uk-population-estimates.zip. Retrieved 27 September 2015. ^ "Usual resident population". Census 2001. Office for National Statistics. 5 August 2004. Archived from the original on 21 April 2007. https://web.archive.org/web/20070421211031/http://www.statistics.gov.uk/StatBase/ssdataset.asp?vlnk=8271&Pos=2&ColRank=1&Rank=224. Retrieved 12 May 2007. ^ a b "The UKs major urban areas" (PDF). Census 2001. Office for National Statistics. Archived from the original on 28 June 2011. https://web.archive.org/web/20110628203215/http://www.statistics.gov.uk/downloads/theme_compendia/fom2005/03_FOPM_UrbanAreas.pdf. Retrieved 12 May 2007. ^ "The Population of Bristol" (PDF). Bristol City Council. p. 5. Archived from the original on 18 September 2010. https://web.archive.org/web/20100918070115/http://www.bristol.gov.uk/ccm/cms-service/stream/asset/?asset_id=29800002&. Retrieved 12 June 2011. ^ "ONS 2005 Mid-Year Estimates". Office for National Statistics. 10 October 2006. Archived from the original on 2 March 2007. https://web.archive.org/web/20070302063319/http://www.statistics.gov.uk/statbase/ssdataset.asp?vlnk=9395&More=Y. Retrieved 12 May 2007. ^ "2011 Census: Ethnic group, local authorities in England and Wales". Office for National Statistics. http://www.ons.gov.uk/ons/rel/census/2011-census/key-statistics-for-local-authorities-in-england-and-wales/rft-table-ks201ew.xls. Retrieved 12 December 2012. ^ Henry Bush (1828). "Chapter 3: Murage, keyage and pavage". Bristol Town Duties: A collection of original and interesting documents etc.. Institute of Historical Research. http://www.british-history.ac.uk/no-series/bristol-duties/pp84-112. Retrieved 8 June 2015. ^ "UK Port Freight Statistics". Department for Transport. pp. PORT0210 , PORT0303. https://www.gov.uk/government/uploads/system/uploads/attachment_data/file/9258/port-freight-statistics-full-summary-2011.pdf. Retrieved 25 August 2015. ^ "Pring, Martin, 1580-1646". American Journeys. http://www.americanjourneys.org/aj-040/summary/index.asp. Retrieved 1 November 2016. ^ "Bristol harbour reaches 200 years". BBC. http://news.bbc.co.uk/local/bristol/hi/people_and_places/history/newsid_8027000/8027396.stm. Retrieved 15 June 2014. ^ "Bristol Local Economic Assessment March 2011" (PDF). Bristol City Council. Archived from the original on 17 November 2012. https://web.archive.org/web/20121117004736/http://www.bristol.gov.uk/sites/default/files/assets/documents/Bristol%20local%20economic%20assessment%20March%202011_0.pdf. Retrieved 29 March 2014. ^ "Towns & Cities: VisitBritain Corporate Site". VisitBritain. Archived from the original on 5 June 2012. https://web.archive.org/web/20120605203405/http://www.visitbritain.org/insightsandstatistics/inboundvisitorstatistics/regions/towns.aspx. Retrieved 27 March 2015. ^ "History of the Ministry of Defence" (PDF). Ministry of Defence. https://www.gov.uk/government/uploads/system/uploads/attachment_data/file/49053/history_of_mod.pdf. Retrieved 27 January 2013. ^ Mrath (23 December 2008). "DK Eyewitness Travel top 10 cities of the world". Bristol Post. http://www.bristolpost.co.uk/Bristol-10-cities-world/story-11290933-detail/story.html. Retrieved 12 June 2011. ^ "The World According to GaWC 2012". Globalization and World Cities Research Network. http://www.lboro.ac.uk/gawc/world2012t.html. Retrieved 25 March 2014. ^ a b "Sub-regional: Gross value added1 (GVA) at current basic price" (xls). Office for National Statistics. Archived from the original on 11 May 2011. https://web.archive.org/web/20110511222553/http://www.statistics.gov.uk/downloads/theme_compendia/regional_snapshot_2006/SubregionalGVA.xls. Retrieved 12 June 2011. ^ "Land Use Management for Sustainable European Cities (LUMASEC)". European Union. http://urbact.eu/file/202/download?token=o4Aqhh6r. Retrieved 25 August 2015. ^ "Lead Key Figures". Office for National Statistics. http://neighbourhood.statistics.gov.uk/dissemination/LeadKeyFigures.do?a=7&b=276834&c=BS8+4NQ&d=13&e=4&g=398722&i=1001x1003x1004&m=0&r=0&s=1237069317892&enc=1. Retrieved 14 March 2009. ^ N.M. Herbert (editor) (1988). "Gloucester, 1835–1985: Economic development to 1914". A History of the County of Gloucester: Volume 4: The City of Gloucester. Institute of Historical Research. http://www.british-history.ac.uk/vch/glos/vol4/pp170-183. Retrieved 8 June 2015. ^ "Bristol (Avonmouth)". Ports and Harbours of the UK. http://www.ports.org.uk/port.asp?id=219. Retrieved 29 March 2014. ^ "About Averys Wine Merchants". Averys of Bristol. 2011. Archived from the original on 15 April 2012. https://web.archive.org/web/20120415204436/http://www.averys.com/jsp/common/uk/common/content.jsp?currentPage=homepage&page=about_averys. Retrieved 27 January 2013. ^ "Professional Services". Invest in Bristol. Archived from the original on 24 April 2013. https://web.archive.org/web/20130424020151/http://www.investinbristol.com/key-sectors-professional-services.php. Retrieved 29 March 2014. ^ "About the Region". Silicon Southwest. Archived from the original on 23 November 2010. https://web.archive.org/web/20101123204151/http://siliconsouthwest.co.uk/index.php/about-2/. Retrieved 27 January 2013. ^ "HP Lab, Bristol, UK". Hewlett Packard. http://www.hpl.hp.com/bristol/. Retrieved 22 March 2009. ^ "Top 10 cities global travellers most want to visit". ITV. http://www.itv.com/news/2014-04-08/london-makes-it-to-top-three-of-best-global-destinations/. Retrieved 30 December 2015. ^ "A brief history of the Bristol Marque". Bristol Owners Club. Archived from the original on 7 October 2006. https://web.archive.org/web/20061007123103/http://www.boc.net/history.html. Retrieved 29 August 2007. ^ "A brief history of Bristol Tramways and Carriage Co, Bristol Omnibus Co and Bristol Commercial Vehicles". Bristol Vintage Bus Group. http://bvbg.org.uk/BT&CC%20history.htm. Retrieved 25 August 2015. ^ Staff (2 March 1969). 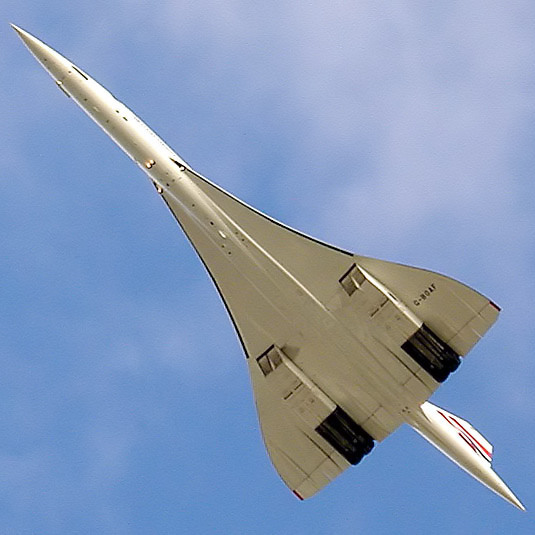 "BBC On This Day: 2 March 1969: Concorde flies for the first time". London: BBC. http://news.bbc.co.uk/onthisday/hi/dates/stories/march/2/newsid_2514000/2514535.stm. Retrieved 22 June 2011. ^ "Concorde at Filton". Bristol Aero Collection. http://www.bristolaero.org/. Retrieved 8 June 2015. ^ "Dr Doug Naysmith – Bristol Northwest". ePolitix.com. Archived from the original on 3 June 2009. https://web.archive.org/web/20090603210702/http://www.epolitix.com/mpwebsites/mpwebsitepage/mpsite/dr-doug-naysmith/mppage/constituency-5/. Retrieved 14 March 2008. ^ "Airbus in UK". Airbus. Archived from the original on 22 August 2008. https://web.archive.org/web/20080822031810/http://www.airbus.com/en/worldwide/airbus_in_uk.html. Retrieved 20 March 2009. ^ "Balloon Fiesta: How to make a hot-air balloon". BBC Bristol. http://www.bbc.co.uk/bristol/content/articles/2008/07/14/fiesta_how_do_you_make_a_balloon_feature.shtml. Retrieved 31 December 2008. ^ "BBC – Bristol – Balloon Fiesta – Balloon Fiesta: Don Cameron". BBC News. http://www.bbc.co.uk/bristol/content/articles/2008/07/28/fiesta_don_cameron_feature.shtml. Retrieved 5 February 2009. ^ "What does 'Science City' mean?". BBC. http://news.bbc.co.uk/local/bristol/hi/people_and_places/nature/newsid_7933000/7933423.stm. Retrieved 25 August 2015. ^ "Cities gather to plot scientific route to economic growth". University of York. https://www.york.ac.uk/news-and-events/news/2005/cities-gather/. Retrieved 25 August 2015. ^ "Bristol shopping centre Cabot Circus will lift city into top 10 say business leaders". Bristol Post. http://www.bristolpost.co.uk/Cabot-Circus-puts-belong/story-11265480-detail/story.html. Retrieved 12 June 2011. ^ a b "An enterprising idea with a radically new approach". Bristol Post. 8 July 2013. http://www.bristolpost.co.uk/enterprising-idea-radically-new-approach/story-19489241-detail/story.html. Retrieved 18 March 2015. ^ "Aim to create 20,000 jobs by revitalising derelict land around Temple Meads, Bristol". Bristol Post. 8 June 2011. http://www.bristolpost.co.uk/Aim-create-20-000-jobs-revitalising-derelict-land/story-12730270-detail/story.html. Retrieved 18 August 2011. ^ "Land near Temple Meads named as Bristol enterprise zone". BBC. 7 June 2011. http://www.bbc.co.uk/news/uk-england-bristol-13681651. Retrieved 18 March 2015. ^ "Bristol to become smart city laboratory". Financial Times. 30 October 2014. http://www.ft.com/cms/s/0/44e49120-6034-11e4-98e6-00144feabdc0.html#axzz3t3Yaz3Q0. Retrieved 1 December 2015. ^ "Six Cities Make Short List For European Capital of Culture 2008". Department for Culture, Media and Sport. http://webarchive.nationalarchives.gov.uk/+/http://www.culture.gov.uk/reference_library/media_releases/2877.aspx. Retrieved 12 June 2011. ^ a b "Grade I Listed Buildings in Bristol" (PDF). Bristol City Council. Archived from the original on 17 July 2012. http://www.webcitation.org/69DqMhNpZ. Retrieved 27 January 2013. ^ "About Us". Theatre Bristol. http://theatrebristol.net/about. Retrieved 8 May 2008. ^ "About". Residence. http://residence.org.uk/about/about/. Retrieved 28 March 2014. ^ "Bristol and West General Branch". Equity. http://www.equity.org.uk/branches/?branchid=37. Retrieved 8 May 2008. ^ Reid, Melanie (18 July 2007). "A student's guide to ... University of Bristol". UK: The Times. http://www.timesonline.co.uk/tol/life_and_style/education/student/article2097881.ece?token=null&offset=12&page=2. Retrieved 14 March 2009. ^ "Bristol's music scene". PortCities Bristol. http://www.discoveringbristol.org.uk/to_showNarrative.php?narId=508&nacId=511. Retrieved 14 March 2009. ^ "Bristol is Britain's 'most musical city'". BBC. 12 March 2010. http://news.bbc.co.uk/local/bristol/hi/people_and_places/music/newsid_8563000/8563916.stm. Retrieved 9 April 2010. ^ Erlewine, Stephen Thomas. "Tricky > Overview". All Music. http://www.allmusic.com/artist/p132766. Retrieved 15 March 2009. ^ Erlewine, Stephen Thomas. "Portishead > Biography". All Music. http://www.allmusic.com/artist/p45223. Retrieved 15 March 2009. ^ Ankeny, Jason. "Massive Attack > Biography". All Music. http://www.allmusic.com/artist/p13625. Retrieved 15 March 2009. ^ Cooper, Sean. "Roni Size > Biography". All Music. http://www.allmusic.com/artist/p199290. Retrieved 15 March 2009. ^ Bush, John. "Krust > Overview". All Music. http://www.allmusic.com/artist/p199939. Retrieved 15 March 2009. ^ Prato, Greg. "More Rockers > Overview". All Music. Archived from the original on 22 March 2006. https://web.archive.org/web/20060322084125/http://allmusic.com/cg/amg.dll. Retrieved 15 March 2009. ^ "Blagging and Boasting". Metroactive Music. Metro Publishing Inc. http://www.metroactive.com/papers/metro/06.18.98/bristol-9824.html. Retrieved 16 June 2011. ^ "Bristol's £27 m M Shed museum opens". BBC News Bristol. 17 June 2011. http://www.bbc.co.uk/news/uk-england-bristol-13792531. Retrieved 26 July 2013. ^ "Bristol City Council: Museums and galleries". Bristol City Council. 2013. Archived from the original on 1 April 2013. https://web.archive.org/web/20130401183740/http://www.bristol.gov.uk/page/leisure-and-culture/museums-and-galleries. Retrieved 25 July 2013. ^ Joseph, Claudia. "Graffiti artist Banksy unmasked ... as a former public schoolboy from middle-class suburbia". Daily Mail (London). http://www.dailymail.co.uk/femail/article-1034538/Graffiti-artist-Banksy-unmasked---public-schoolboy-middle-class-suburbia.html. Retrieved 7 March 2009. ^ "A Short History of the RWA". Royal West of England Academy. 2009. Archived from the original on 16 July 2011. https://web.archive.org/web/20110716064532/http://www.rwa.org.uk/histfrm.htm. Retrieved 21 July 2011. ^ "Antlers gallery takes over Purifier House on Bristol Harbourside". Bristol Post. http://www.bristolpost.co.uk/Antlers-takes-harbour-gas-works/story-20838315-detail/story.html. Retrieved 24 October 2015. ^ "Aardman Animations Biography". Screen Online. http://www.screenonline.org.uk/people/id/530232/index.html. Retrieved 7 March 2009. ^ Davies, Gail (1998). "Networks of nature: Stories of Natural History Film-Making from the BBC" (PDF). UCL EPrints: 11–15. Retrieved on 22 August 2015. ^ "About Johnny". BBC. http://www.bbc.co.uk/cult/classic/animalmagic/johnny.shtml. Retrieved 29 March 2014. ^ "Southey, Robert (1774–1843)". Oxford Dictionary of National Biography. http://www.oxforddnb.com/view/article/26056. Retrieved 18 April 2015. ^ "Chatterton – Bristol's boy poet". BBC. http://www.bbc.co.uk/bristol/content/features/2002/09/04/chatterton.shtml. Retrieved 20 December 2008. ^ Webb, Samantha (2006). "'Not so pleasant to the taste': Coleridge in Bristol during the mixed bread campaign of 1795". Romanticism 12 (1): 5–14. DOI:10.1353/rom.2006.0009. Retrieved on 12 June 2011. ^ Morris, Sophie (11 December 2006). "Justin Lee Collins: My Life in Media". The Independent (London). Archived from the original on 1 July 2015. https://web.archive.org/web/20150701203012/http://www.independent.co.uk/news/media/justin-lee-collins-my-life-in-media-427936.html. Retrieved 7 March 2009. ^ "Lee Evans Biography (1964–)". Film Reference. http://www.filmreference.com/film/55/Lee-Evans.html. Retrieved 7 March 2009. ^ Cavendish, Dominic (1 March 2008). "Russell Howard: Russell who is not a brand". The Daily Telegraph (London: TMG). ISSN 0307-1235. OCLC 49632006. http://www.telegraph.co.uk/culture/theatre/comedy/3671535/Russell-Howard-Russell-who-isnt-a-brand.html. Retrieved 21 July 2011. ^ Ellen, Barbara (5 November 2006). "Barbara Ellen meets the 6 ft 7in comedy giant Stephen Merchant". The Guardian (London). http://www.guardian.co.uk/stage/2006/nov/05/comedy.television1. Retrieved 7 March 2009. ^ "Bristol City Council: Listed buildings register: Listed buildings". Bristol City Council. Archived from the original on 6 January 2012. https://web.archive.org/web/20120106130440/http://www.bristol.gov.uk/node/352. Retrieved 27 January 2013. ^ "Church of St James". Historic England. http://www.imagesofengland.org.uk/details/default.aspx?id=380890. Retrieved 18 October 2015. ^ "The Great Gatehouse". Images of England. Historic England. http://www.imagesofengland.org.uk/details/default.aspx?id=379315. Retrieved 18 October 2015. ^ "Cathedral Church of St Augustine, including Chapter House and cloisters". Images of England. Historic England. http://www.imagesofengland.org.uk/details/default.aspx?id=379305. Retrieved 18 October 2015. ^ "Nos.17, 18 AND 19 St Bartholomew's Hospital". Images of England. Historic England. http://www.imagesofengland.org.uk/details/default.aspx?id=379136. Retrieved 18 October 2015. ^ "St Nicholas' Almshouses, Nos.1–10". Images of England. Historic England. http://www.imagesofengland.org.uk/details/default.aspx?id=379882. Retrieved 21 February 2007. ^ "Llandoger Trow". Images of England. Historic England. http://www.imagesofengland.org.uk/details/default.aspx?id=379857. Retrieved 22 February 2007. ^ "No.1 The Palace Hotel". Images of England. Historic England. http://www.imagesofengland.org.uk/details/default.aspx?id=380829. Retrieved 15 May 2007. ^ "Grotto approximately 85 metres south of Goldney House". Images of England. Historic England. http://www.imagesofengland.org.uk/details/default.aspx?id=379242. Retrieved 18 October 2015. ^ "The Exchange". Images of England. Historic England. http://www.imagesofengland.org.uk/details/default.aspx?id=379382. Retrieved 18 October 2015. ^ "No.48 Old Post Office". Images of England. Historic England. http://www.imagesofengland.org.uk/details/default.aspx?id=379376. Retrieved 18 October 2015. ^ "Nos.1–6 (Consecutive) and attached area railings". Images of England. Historic England. http://www.imagesofengland.org.uk/details/default.aspx?id=380184. Retrieved 18 October 2015. "Nos.14–17 (Consecutive) and attached area railings". Images of England. Historic England. http://www.imagesofengland.org.uk/details/default.aspx?id=380186. Retrieved 18 October 2015. "Nos.18–21 (Consecutive) and attached area railings". Images of England. Historic England. http://www.imagesofengland.org.uk/details/default.aspx?id=380187. Retrieved 18 October 2015. "Nos.22–28 (Consecutive) and attached area railings". Images of England. Historic England. http://www.imagesofengland.org.uk/details/default.aspx?id=380188. Retrieved 18 October 2015. "Nos.31–34 (Consecutive) and attached area railings". Images of England. Historic England. http://www.imagesofengland.org.uk/details/default.aspx?id=380189. Retrieved 18 October 2015. "Nos.7–13 (Consecutive) and attached area railings". Images of England. Historic England. http://www.imagesofengland.org.uk/details/default.aspx?id=380185. Retrieved 18 October 2015. ^ "Circular Cottage". Images of England. Historic England. http://www.imagesofengland.org.uk/details/default.aspx?id=379691. Retrieved 18 October 2015. "Dial Cottage". Images of England. http://www.imagesofengland.org.uk/details/default.aspx?id=379690. Retrieved 18 October 2015. "Diamond Cottage". Images of England. Historic England. http://www.imagesofengland.org.uk/details/default.aspx?id=379686. Retrieved 18 October 2015. "Double Cottage". Images of England. Historic England. http://www.imagesofengland.org.uk/details/default.aspx?id=379688. Retrieved 18 October 2015. "Dutch Cottage". Images of England. Historic England. http://www.imagesofengland.org.uk/details/default.aspx?id=379687. Retrieved 18 October 2015. "Oak Cottage". Images of England. Historic England. http://www.imagesofengland.org.uk/details/default.aspx?id=379685. Retrieved 18 October 2015. "Rose Cottage". Images of England. Historic England. http://www.imagesofengland.org.uk/details/default.aspx?id=379689. Retrieved 18 October 2015. "Sweetbriar Cottage". Images of England. Historic England. http://www.imagesofengland.org.uk/details/default.aspx?id=379692. Retrieved 18 October 2015. "Vine Cottage". Images of England. http://www.imagesofengland.org.uk/details/default.aspx?id=379693. Retrieved 18 October 2015. ^ "Pictorial Record of Bristol's History". Bristol History. Archived from the original on 22 March 2007. https://web.archive.org/web/20070322080553/http://weldgen.tripod.com/bristol-history/id6.html. Retrieved 29 March 2014. ^ "Bristol City 0-1 Hull". BBC. http://news.bbc.co.uk/sport1/hi/football/eng_div_1/7416502.stm. Retrieved 13 October 2015. ^ "Potted History". 20 March 2014. http://www.bristolpost.co.uk/Bristol-Rovers-TRASHorfield-Timeline/story-20833194-detail/story.html. Retrieved 21 March 2014. ^ McCormick, Ken (27 March 2015). "Bristol Rovers board asks fans to keep any anti-Sainsbury's protests "lawful and peaceful"". Bristol Post. http://www.bristolpost.co.uk/Bristol-Rovers/story-26244942-detail/story.html. Retrieved 18 April 2015. ^ "Bristol Academy Women Club History". Bristol Academy Women. http://www.bristolacademywfc.co.uk/clubHistory.html#aXs0GzaLK9ZTXjqZ.97. Retrieved 27 October 2015. ^ "Bristol Rugby : History Page". Bristol Rugby. Archived from the original on 31 July 2008. https://web.archive.org/web/20080731171020/http://www.bristolrugby.co.uk/history.php. Retrieved 16 March 2009. ^ "1888–1910". Bristol Rugby. Archived from the original on 19 March 2012. https://web.archive.org/web/20120319233428/http://www.bristolrugby.co.uk/fans/history/1888-1910/. Retrieved 27 September 2015. ^ "History". Bristol Rugby. Archived from the original on 9 June 2011. https://web.archive.org/web/20110609204809/http://www.bristolrugby.co.uk/fans/history/. Retrieved 12 June 2011. ^ "Guide to Ashton Gate". Bristol Rugby. Archived from the original on 19 August 2014. https://web.archive.org/web/20140819131726/http://www.bristolrugby.co.uk/guide-to-ashton-gate/introduction/. Retrieved 25 August 2015. ^ "Safe standing: Bristol Rugby back Bristol City's Ashton Gate plans". BBC. http://www.bbc.co.uk/sport/0/football/26174702. Retrieved 25 August 2015. ^ "Bristol Combination History". Pitcheroo. http://bristolcombination.pitchero.com/page/history/the-combination/bristol-combination-history-2350/. Retrieved 18 October 2015. ^ "About Us". Bristol Sonics. http://www.bristolsonics.com/the-club/about-us/. Retrieved 18 October 2015. ^ "Gloucestershire County Cricket Club". Gloucestershire County Cricket Club. http://www.gloscricket.co.uk/. Retrieved 16 March 2009. ^ "About Us". Gloucestershire Cricket. http://www.gloscricket.co.uk/about-us/. Retrieved 5 March 2016. ^ "Bristol Flyers Awarded BBL Franchise for 2014". Hoopsfix. http://www.hoopsfix.com/2013/06/bristol-flyers-awarded-bbl-franchise-for-2014/. Retrieved 27 October 2015. ^ "Bristol Aztecs". Britball Now. Archived from the original on 7 January 2009. https://web.archive.org/web/20090107002432/http://www.britballnow.co.uk//History/Britball%20Teams/BristolAztecs.html. Retrieved 27 October 2015. ^ "Rink-share arrangement with Bristol Pitbulls". Oxford City Stars. http://oxfordcitystars.com/rink-share-arrangement-with-bristol-pitbulls/. Retrieved 27 October 2015. ^ "Bristol Half Marathon". Run Bristol. http://www.runbristol.com/Events/Bristol-half-marathon/race-history. Retrieved 27 October 2015. ^ Prideaux, Sophie (10 September 2014). "When will the Tour of Britain be in Bristol today?". Bristol Post. http://www.bristolpost.co.uk/Tour-Britain-Bristol-today/story-22898640-detail/story.html. Retrieved 27 October 2015. ^ "About the Centre for Sport". University of the West of England. http://www1.uwe.ac.uk/aboutus/departmentsandservices/professionalservices/centreforsport/aboutthecentreforsport.aspx. Retrieved 27 October 2015. ^ "Balloon Fiesta celebrates 30 years". BBC Bristol. 14 April 2008. http://www.bbc.co.uk/bristol/content/articles/2008/03/20/balloon_fiesta2008_feature.shtml. Retrieved 16 March 2009. ^ "BBC Natural History Unit". BBC. http://www.bbc.co.uk/insideout/content/articles/2007/09/10/west_natural_history_unit_12_1_feature.shtml. Retrieved 13 October 2015. ^ "The British Newspaper Archive". The Digital Victorianist. http://www.digitalvictorianist.com/the-british-newspaper-archive-title-list/. Retrieved 8 August 2016. ^ "BBC's Casualty to move to Wales". BBC News. 26 March 2009. http://news.bbc.co.uk/2/hi/uk_news/wales/7965895.stm. Retrieved 28 March 2009. ^ "About Us". Redcliffe Press. 2012. http://redcliffepress.co.uk/about-us/. Retrieved 18 April 2012. ^ "Company profile: Yogscast". TechSpark. http://techspark.co/company-profile-yogscast/. Retrieved 12 March 2015. ^ "Famous Bristolians". Mintinit.com. http://www.mintinit.com/famousbristolians.php. Retrieved 12 November 2011. ^ Staff (14 August 2003). "Calling All Bristolians". BBC. http://www.bbc.co.uk/bristol/content/sop/brizzle/story.shtml. Retrieved 19 June 2011. ^ Gick, Bryan (1999). "A gesture-based account of intrusive consonants in English". Phonology 16: 29–54. DOI:10.1017/s0952675799003693. ^ Trudgill, Peter. "Dialect Contact, Dialectology and Sociolinguistics". University of Fribourg. Archived from the original on 2 April 2015. https://web.archive.org/web/20150402164426/https://digitum.um.es/jspui/bitstream/10201/1672/1/112477.pdf. Retrieved 12 March 2015. ^ "The New Room Bristol – John Wesley's Chapel in the Horsefair". The New Room Bristol. http://www.newroombristol.org.uk/. Retrieved 15 March 2009. ^ Marchant, Neil. "The Presbyterian Churches of Bristol". Church Crawler. http://www.churchcrawler.pwp.blueyonder.co.uk/bristolchurches/presbyterian.htm. Retrieved 5 May 2014. ^ "Mosques in Bristol". All Mosques Together. http://www.allmosquestogether.org/mosques/. Retrieved 27 January 2013. ^ "Bristol Buddhist Forum". Bristol Buddhist Forum. http://www.bristolbuddhistforum.org.uk/groups.htm. Retrieved 15 March 2009. ^ "Bristol Hindu Temple". Culture 24. http://www.culture24.org.uk/am67668. Retrieved 27 September 2015. ^ "Synagogues in Bristol – Shuls in Bristol – Jewish Temples in Bristol". Maven Search. http://www.mavensearch.com/synagogues/C3382Y41287RX. Retrieved 15 March 2009. ^ "Sikhism". Bristol Multi Faith Forum. http://bristolmultifaithforum.org.uk/faiths/sikhism/. Retrieved 23 May 2014. ^ "Ramgharia Sikh Temple (Gurwara)". England's Past for Everyone in Bristol. Victoria County History. Archived from the original on 5 March 2012. https://web.archive.org/web/20120305153032/http://www.englandspastforeveryone.org.uk/Counties/Bristol/Projects/EthnicMinorities/Items/Ramgharia_Sikh_Temple?Session/@id=D_dLx4XM484WWSGX1LR3yf. Retrieved 23 August 2009. ^ "UK Gurdwara List: Avon". British Organisation of Sikh Students. Archived from the original on 5 January 2012. https://web.archive.org/web/20120105063346/http://www.boss-uk.org/gurdwara#avon. Retrieved 23 August 2009. ^ Staff (2011). "How the University is run". Bristol University. http://www.bristol.ac.uk/university/governance/. Retrieved 20 June 2011. ^ Staff (21 February 2008). "Bristol University | News from the University | Wills Memorial Building". University of Bristol. http://www.bris.ac.uk/news/2008/12017945143.html. Retrieved 20 June 2011. ^ Staff (2011). "UWE history timeline". UWE Bristol. http://www1.uwe.ac.uk/aboutus/history/uwehistorytimeline.aspx. Retrieved 20 June 2011. ^ "List of primary schools in Bristol". Bristol City Council. http://www.bristol.gov.uk/schoolfinder?Task=type&SchoolType=Primary&SchoolType=None. Retrieved 27 January 2013. ^ "List of secondary schools in Bristol". Bristol City Council. http://www.bristol.gov.uk/schoolfinder?Task=type&SchoolType=Secondary&SchoolType=None. Retrieved 27 January 2013. ^ Polly, Curtis (29 January 2008). "To have and have not". The Guardian (London). http://www.guardian.co.uk/education/2008/jan/29/publicschools.schools. Retrieved 29 January 2008. ^ "A Brief History". Redmaids' School. http://www.redmaids.co.uk/about-us-a-brief-history.aspx. Retrieved 27 September 2015. ^ "UK designates six 'Science Cities' to spearhead economic growth". Times Higher Education. http://www.timeshighereducation.co.uk/198532.article. Retrieved 18 April 2015. ^ "City science park partner named". BBC News. 20 April 2006. http://news.bbc.co.uk/2/hi/uk_news/england/bristol/somerset/4925556.stm. Retrieved 6 May 2007. ^ "Create Centre". Bristol City Council. Archived from the original on 7 January 2012. https://web.archive.org/web/20120107143653/http://bristol.gov.uk/node/899. Retrieved 27 January 2013. ^ "Sir Humphry Davy (1778–1829)". BBC News. http://www.bbc.co.uk/history/historic_figures/davy_humphrey.shtml. Retrieved 7 March 2009. ^ "Dirac biography". www-groups.dcs.st-and.ac.uk. http://www-groups.dcs.st-and.ac.uk/~history/Biographies/Dirac.html. Retrieved 7 March 2009. ^ "barnstormpr – The website of Professor Colin Pillinger, CBE FRS". colinpillinger.com. Archived from the original on 18 February 2012. https://web.archive.org/web/20120218205618/http://colinpillinger.com/barnstormpr.co.uk/biography.htm. Retrieved 27 January 2013. ^ "Professor Richard Gregory on-line". www.richardgregory.org. http://www.richardgregory.org/. Retrieved 7 March 2009. ^ "Flying Start Challenge". www.flyingstartchallenge.co.uk. http://www.flyingstartchallenge.co.uk/. Retrieved 16 March 2009. ^ "Bloodhound Diary". BBC. 19 March 2012. http://www.bbc.co.uk/news/science-environment-17429108. Retrieved 30 March 2012. ^ a b c "West of England Joint Local Transport Plan 3 2O11 – 2O26" (PDF). West of England Partnership. Archived from the original on 16 April 2014. https://web.archive.org/web/20140416183307/http://travelplus.org.uk/media/205985/jltp3%20march%202011.pdf. Retrieved 29 March 2014. ^ "New Bristol Road". The Times (Times Digital Archive). 3 July 1926. http://infotrac.galegroup.com/itw/infomark/783/737/77116253w16/purl=rc1_TTDA_0_CS186718947&dyn=6!xrn_39_0_CS186718947&hst_1?sw_aep=uwesteng. Retrieved 10 August 2016. ^ "Avonmouth Bridge (J18 to J19)". The Motorway Archive. http://motorwayarchive.ihtservices.co.uk/en/motorways/motorway-listing/m5/m5-the-twyning-green-j8-to-edithmead-j22/avonmouth-bridge.cfm. Retrieved 10 August 2016. ^ "Abus". Abus. http://www.abus.co.uk/. Retrieved 29 August 2015. ^ "Ulink". University of the West of England. http://www1.uwe.ac.uk/comingtouwe/campusesmapsandtravel/bristoltravel/uwebuses. Retrieved 29 August 2015. ^ "Wessex". Wessex. http://www.wessexbus.com/. Retrieved 29 August 2015. ^ "First Bus fined for late buses in Bristol and Somerset". BBC. http://www.bbc.co.uk/news/uk-england-bristol-12249432. Retrieved 18 April 2015. ^ "Bus firm must reduce city fleet". BBC News. 25 July 2005. http://news.bbc.co.uk/2/hi/uk_news/england/bristol/somerset/4716023.stm. Retrieved 6 May 2007. ^ a b "Joint Local Transport Plan". B&NES, Bristol City, North Somerset and South Gloucestershire councils. 2006. Archived from the original on 24 October 2010. https://web.archive.org/web/20101024204219/http://travelplus.org.uk/our-vision/joint-local-transport-plan-3/let%27s-talk---read-the-draft-jltp3. Retrieved 22 July 2009. ^ "Motorcycles". Bristol City Council. http://www.bristol.gov.uk/node/3709. Retrieved 27 January 2013. ^ "Memorandum on Government Discrimination against Innovative Low-cost Light Rail in favour of Urban Diesel Buses" (PDF). Sustraco / H.M. Treasury. March 2006. Archived from the original on 13 October 2008. http://webarchive.nationalarchives.gov.uk/20081013130748/http://www.hm-treasury.gov.uk/d/sus_2.pdf. Retrieved 1 January 2009. ^ "MetroBus Build". Travelwest. http://travelwest.info/metrobus/metrobus-build. Retrieved 14 April 2016. ^ "MetroBus Benefits". Travelwest. http://travelwest.info/metrobus/benefits. Retrieved 14 April 2016. ^ Atkins (2005). "Greater Bristol Strategic Transport Study Chapter 6" (PDF). http://www.westofengland.org/media/190066/gbsts%20final%20chap%206b.pdf. Retrieved 5 May 2014. ^ "Park and Ride". Travel West. http://travelwest.info/parkandride. Retrieved 29 March 2014. ^ "Ferry Services". Bristol City Council. Archived from the original on 3 July 2010. https://web.archive.org/web/20100703075904/http://www.bristol.gov.uk/ccm/content/Transport-Streets/Public-Transport/ferry-services.en. Retrieved 22 August 2010. ^ "Greater Bristol Metro" (PDF). West of England Partnership. http://www.westofengland.org/media/98508/item%2004%20greater%20bristol%20metro%2013%20march%202009.pdf. Retrieved 20 September 2009. ^ "Portishead railway station location consultation begins". BBC. http://www.bbc.co.uk/news/uk-england-bristol-27857122. Retrieved 18 April 2015. ^ "Bristol named first cycling city". BBC NEWS. 19 June 2008. http://news.bbc.co.uk/2/hi/uk_news/england/bristol/somerset/7462791.stm. Retrieved 16 March 2009. ^ Langenohl, Andreas (2015). Town Twinning, Transnational Connections, and Trans-local Citizenship Practices in Europe. Palgrave Macmillan. p. 18. ISBN 978-1-137-02123-6. https://books.google.co.uk/books?id=q6y_BwAAQBAJ&pg=PA18&lpg=PA18&dq=Bristol+first+town+twinning&source=bl&ots=YTq9Lz15GE&sig=mbIu2OiQrePOqaohUxAXqG6EscY&hl=en&sa=X&ved=0ahUKEwi04qSn1oPKAhXDXRQKHfToA504ChDoAQgeMAA#v=onepage&q=Bristol&f=false. ^ "A history of town twinning". MDRT. http://www.mdrt.co.uk/post/52772293854/a-history-of-town-twinning-to-understand-the. Retrieved 30 December 2015. ^ "Bordeaux – Rayonnement européen et mondial" (in French). Mairie de Bordeaux. Archived from the original on 7 February 2013. https://web.archive.org/web/20130207154903/http://www.bordeaux.fr/p63778/europe%C2%A0et%C2%A0international. Retrieved 29 July 2013. ^ "Hanover – Twinn Towns" (in German). Region of Hannover. Archived from the original on 24 July 2011. https://web.archive.org/web/20110724012346/http://www.hannover.de/de/buerger/entwicklung/partnerschaften/staedte_regionspartnerschaften/index.html. Retrieved 17 July 2009. ^ "International Relations of the City of Porto" (PDF). City of Porto. Archived from the original on 13 January 2012. https://web.archive.org/web/20120113054303/http://www.cm-porto.pt/document/449218/481584.pdf. Retrieved 8 June 2015. ^ "UK twinning links with towns, communities, schools and universities in Nicaragua". Nicaragua Solidarity Campaign. http://www.nicaraguasc.org.uk/solidarity/twin-towns/. Retrieved 5 May 2014. ^ Sharp, David (September 2008). "Twinning, Cities, and Health: Opportunities Being Missed?". Journal of Urban Health 85 (5): 637–638. DOI:10.1007/s11524-008-9293-8. PMID 18563572. ^ "Guangzhou Sister Cities via WaybackMachine.com". Guangzhou Foreign Affairs Office. Archived from the original on 24 October 2012. https://web.archive.org/web/20121024091437/http://www.gzwaishi.gov.cn/Category_121/Index.aspx. Retrieved 21 July 2013. ^ "Bristol City – Town twinning". Bristol City Council. http://www.bristol.gov.uk/node/1630. Retrieved 27 January 2013. Black, James R. (1996). Microparametric Syntax and Dialect Variation. John Benjamins Publishing. ISBN 978-90-272-3643-2. https://books.google.com/books?hl=en&lr=&id=nGfdxtKlkqwC&oi=fnd&pg=PA169&dq=Bristol+dialect+second+person+singular&ots=Pzb4Anebb_&sig=eq5HAbuJgImthwYXCuKgx4yqZFw#v=onepage&q=Bristol%20&f=false. Boyne, Walter J (1 July 2002). Air Warfare. ABC-Clio. ISBN 978-1-57607-345-2. https://books.google.com/?id=FW_50wm8VnMC&pg=PA105&lpg=PA105&dq=famous+bristol+planes. Retrieved 15 March 2009. Carus-Wilson, Eleanora Mary (1933). "The overseas trade of Bristol". In Power, Eileen; Postan, M.M.. Studies in English Trade in the Fifteenth Century. London: Routledge & Kegan Paul. ISBN 978-1-136-61971-7. https://books.google.com/books?id=7S78AQAAQBAJ&pg=PR3&lpg=PR3&dq=Power,+Eileen;+Postan,+M.M.+Studies+in+English+Trade+in+Fifteenth+Century.+London:+Routledge+%26+Kegan+Paul&source=bl&ots=udmSm0NLeg&sig=jVlIyA0dp7viV4ty6SmHGzhMyVs&hl=en&sa=X&ei=alCAU6ytEaqr0QXY9YD4CA&v. Hunt, Henry (1818). Memoirs of Henry Hunt, Esq.. 3. Project Gutenberg. https://archive.org/stream/memoirsofhenryhu08463gut/8hnt310.txt. Retrieved 27 September 2015. Hughes, Arthur (2012). English Accents and Dialects: An Introduction to Social and Regional Varieties of English in the British Isles. Routledge. ISBN 978-1-4441-2138-4. https://books.google.com/books?hl=en&lr=&id=zBlrSasr14oC&oi=fnd&pg=PP2&dq=Bristol+dialect+second+person+singular&ots=3n-w1v7aFK&sig=s4PXzAzhCChjLpJnLZEBUvXxGtU#v=onepage&q=Bristol&f=false. Jenks, S. (2006). Robert Sturmy's Commercial Expedition to the Mediterranean (1457/8). 58. Bristol Record Society Publications. ISBN 978-0-901538-28-4. https://books.google.com/books?ei=DIiAU5HXBMa8Pcv7gJgK&id=pIVnAAAAMAAJ&dq=isbn%3A9780901538284&focus=searchwithinvolume&q=Bristol. Jones, Evan T. (2012). Inside the Illicit Economy: Reconstructing the Smugglers' Trade of Sixteenth Century Bristol. Ashgate. ISBN 978-1-4094-4019-2. https://books.google.co.uk/books?id=Li3Updbo4pgC&pg=PT5&dq=978-1-4094-4019-2&hl=en&sa=X&redir_esc=y#v=onepage&q=1558&f=false. Liddy, Christian Drummond (2005). War, Politics and Finance in Late Medieval English Towns: Bristol, York and the Crown, 1350–1400. Boydell & Brewer. ISBN 978-0-86193-274-0. https://books.google.co.uk/books?id=n7-SVwrExnoC&pg=PA195&lpg=PA195&dq=Bristol+1373&source=bl&ots=sv5e7ihQWF&sig=2nAhjSwGatjVa3djAEdcI8Zb1Gg&hl=en&sa=X&ei=ZqwyVZmLPNXravikgLAN&ved=0CEQQ6AEwBg#v=onepage&q=Bristol%201373&f=false. Little, Bryan (1967). The City and County of Bristol. Wakefield: S. R. Publishers. ISBN 0-85409-512-8. Madden, Lionel (1972). Robert Southey: The Critical Heritage. Routledge and Kegan Paul. ISBN 978-0-7100-7375-4. https://books.google.com/?id=WjvzPrwqasEC&pg=PA419&lpg=PA419&dq=cottle+wordsworth,+southey#v=onepage&q=cottle%20wordsworth%2C%20southey&f=false. Newlyn, Lucy (2001). Coleridge, Wordsworth and the Language of Allusion. Oxford University Press. ISBN 978-0-19-924259-7. https://books.google.com/?id=8HYfnrv5fiwC&pg=PA9&lpg=PA9&dq=wordsworth+bristol. Poole, Steve, ed (2013). A City Built Upon the Water: Maritime Bristol 1750–1900. Redcliffe Press. ISBN 978-1-908326-10-2. Strohmeyer, Jens (2009). English in the Southwest of England. BoD – Books on Demand. ISBN 978-3-640-32022-6. https://books.google.com/books?hl=en&lr=&id=TgPeaX6LybAC&oi=fnd&pg=PA3&dq=Bristol+dialect+second+person+singular&ots=vekEarm9vM&sig=0etwTVTadGHOzTl8juqU13xs1ro#v=onepage&q=Bristol&f=false. Wikisource has the text of the 1911 Encyclopædia Britannica article Bristol (England). This page uses content from the English language Wikipedia. The original content was at Bristol. The list of authors can be seen in the page history. As with this Familypedia wiki, the content of Wikipedia is available under the Creative Commons License.